LIVESTRONG.COM traveled to Washington, D.C., and met with U.S. Congressional leaders and their teams to find out what consumers and citizens need to know about the safety and health of the American food system and what we can do to get involved. 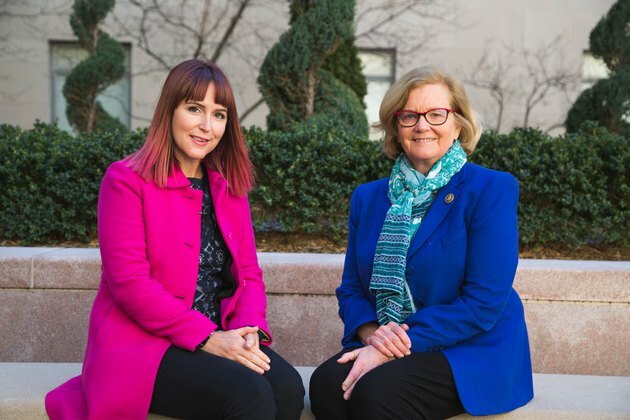 We interviewed Congresswoman Chellie Pingree, a Democrat representing Maine, at the Rayburn House Office Building as part of our Stronger Women interview series. Pingree is currently the only organic farmer serving in U.S. Congress. She is a leader on food policy, including issues involving local food, food waste and organic agriculture. You can view the legislation sponsored or co-sponsored by Pingree here. According to Pingree, agriculture and the food that we put onto our tables should be concerns that bridge the gap between Republicans and Democrats. Pingree points out that this is true whether a person is shopping at Whole Foods or at Walmart. “Walmart is attempting to be the largest retailer of organic foods in the country right now, and they wouldn’t be going after that market if they didn’t think that everyone at every income level wanted to eat more organic food,” she says. She explains that locally grown produce is important to Americans as well. Pingree’s efforts have included making it easier to use SNAP (Supplemental Nutrition Assistance Program) benefits to purchase local food. According to Pingree, as a member of Congress it’s essential to be persistent and to be comfortable dealing with the public. 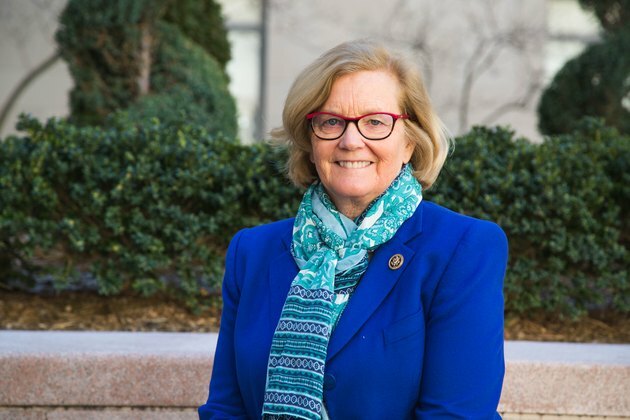 Pingree said she has concerns about the Environmental Protection Agency (EPA) and about some of the rulings that the U.S. Department of Agriculture (USDA) has made. “One of my jobs here in Washington is to be a watchdog, to fight back — whether it’s issues on ruling that they’ve made on chemicals that should have more testing or some of the rules that have come before the USDA where they should be more directive about making sure that a free-range chicken is actually out on the range, pecking in the grass, picking up healthy nutrients in bugs,” explains Pingree. She serves on two committees — one that has oversight on the EPA and another that oversees the USDA. “You can follow us at any time. And we are regularly going after them — whether it’s about chemicals like Roundup, which we see too much of today, or some of the rules that govern how we technically administer the organic farming regulations and making sure that they’re strict and that everyone follows the right rules,” she says. How Can Americans Get Involved Right Now to Improve Our Food Supply? According to Pingree, consumers and citizens can make a huge difference. One way is voting with our pocketbooks and how we choose to spend our money. “If you’re buying food from the local farm down the road or you’re joining a CSA, you’re showing that farmer that you care about what they do and sometimes you’re willing to pay a little extra to make sure they can stay in business. And you’re looking them right in the eye and saying: ‘I want you to tell me how this was grown,’” she says. Pingree points out that contacting your state legislators and members of Congress is incredibly important because they count the emails and phone calls they get on each issue. JESS BARRON is Editor-in-Chief and GM for LIVESTRONG.COM, a leading healthy lifestyle website with more than 32 million unique monthly viewers. In addition to LIVESTRONG, her writing has appeared in Entrepreneur, Fortune and MyDomaine. She has been interviewed about her advice for female entrepreneurs by Inc., HuffingtonPost and FabFitFun. Jess has appeared on MSNBC, CNN and ABC News and has been a keynote speaker at Health Further and a panelist at SXSW, Create & Cultivate and Digital Hollywood. Follow Jess on Instagram and Twitter at @jessbeegood!